Here are some of the most frequently asked questions about our work place massage service. Who else has used On-Site Massage? What frequency if treatment is best? Which geographic area do you cover? Are your therapist professionally qualified? Won't the massage make my staff too relaxed to work? Can you provide therapists for exhibitions and other corporate events? What do our therapists wear? It’s not just world leading US companies like Google, Boeing and Cisco systems that have recognised the benefits of an employee massage service. Now UK organisations such as BT, KPMG and the NHS are also. The first massage treatment for each team member starts with a brief consultation with our therapist. 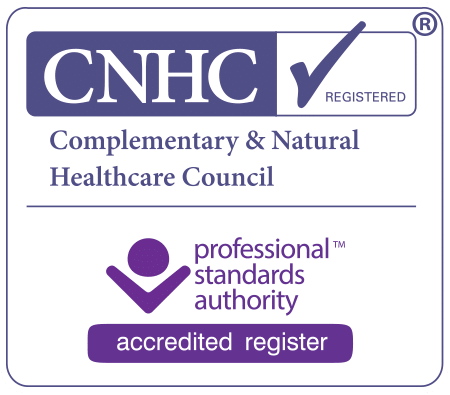 The purpose is to identify any specific treatment needs and the existence of pre-existing medical conditions which may affect the way in which the massage treatment is carried out. Massage treatments are generally between 10 and 20 minutes in duration, although this can vary to meet the specific needs of your organisation. Just as some exercise is better for you than none at all, the same applies to therapeutic massage. That said, most things in life are a trade-off between cost and benefit. So whilst some organisations will opt for a weekly massage service, others prefer our therapists to visit either fortnightly or monthly. We will work with you to devise a program which best suits your needs and budget. Workstation massage, as the name implies, is carried out whilst the employee is sitting in their usual chair at their desk. For our seated massage service, we would normally recommend a quiet vacant office or meeting room, although treatments can easily be given in a quiet corner of a large office. Our fee structure couldn’t be more straightforward. It is based upon the number of hours of treatment provided during each session and the number of sessions your employees receive each month. The more treatments we provide, the lower the per-treatment cost. Click here to see our current fees. With our offices in Cheltenham, we provide an on-site massage services to all locations within the diamond encapsulated by Birmingham, Cardiff, Bristol and Oxford. Unlike some other onsite massage companies that employ therapists with simple one or two day seated massage trainings, our therapists each hold a professional qualification in massage therapy to Diploma or Degree level. Each is covered by comprehensive professional indemnity and public liability insurance. Definitely not. Whilst stress relief through muscle relaxation is one of the key aims of the massage session, the purpose is to stimulate the senses so that each team member is alert, energised and focused. Each treatment concludes with an invigorating spray of face spritz. Although there is no hard and fast rule, programs which yield the best long term results are generally funded by the employer, as a key part of their investment in employee wellbeing. Of course. We can provide as many therapists as you require, along with all of the specialist equipment which they will require to provide a professional service. We are happy to share our experience to help you create the optimum experience to achieve your goals. Our therapists wear black trousers and our company T-shirt as standard practise. However, for product launches and other events clients often prefer we wear T- shirts that brand their product or service. We will discuss this with you at the time of booking.